Q. 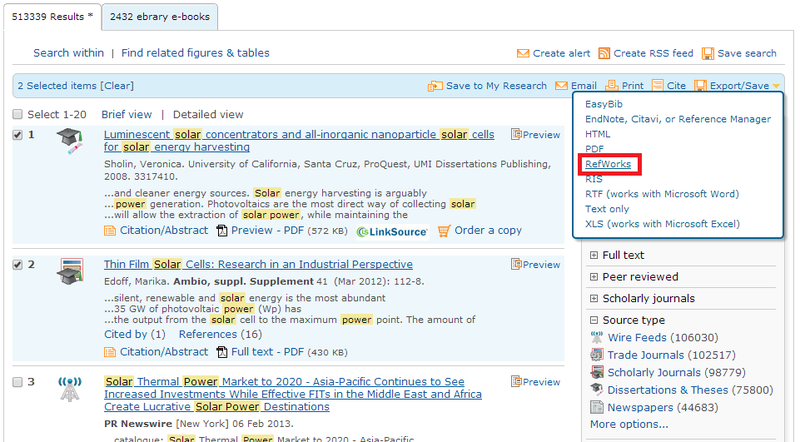 How do I use RefWorks from ProQuest? Select your articles by checking the box on the left hand corner of the article's title and then click the "export" in the yellow header.